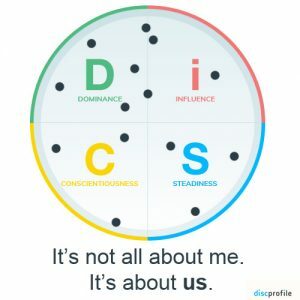 Have you just been asked to take the DiSC profile test? 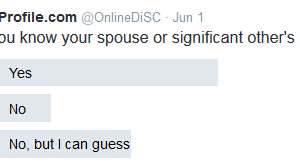 Or to administer the DiSC profile? 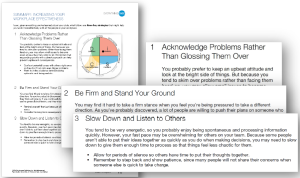 We can answer a few common questions about this popular personality assessment here. 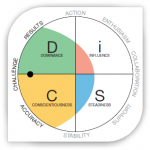 Many businesses and organizations use DiSC profiles as a tool in creating a positive working environment. 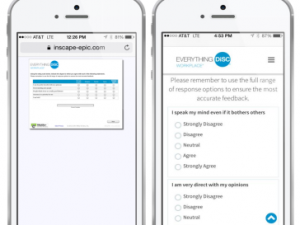 For example, a dental office used it to highlight ways for its teams to work more effectively together. As a result, management knows more about how each team member prefers to act in the world, what motivates them and what might cause them stress. They have a shared and non-judgmental vocabulary for discussing issues and a better sense of what their office culture is and what they’d like it to be. An office might all take a Workplace or Classic profile. If they were really committed to growing their business, they might all take Work of Leaders. Another example is from a construction company. Whenever someone new is hired, that employee is asked to take the profile. Profiles are shared and the on-boarding process is sped up. The new employee in accounting might learn that the boss is an i and tends to judge people by their openness, social skills and enthusiasm. And the boss might learn that the new accountant is a C and is more concerned with accuracy and objective processes. Together they’ll see that each of these traits is necessary, bringing flexibility and depth to the organization. Each gains some insight into how they might want to adapt their preferred styles when working directly with each other. A real estate firm determines that its agents need training to be more effective in sales. They use Everything DiSC Sales to help their agents and administrative staff learn about how to read the buying styles of their clients. They learn how to adapt their own sales styles to address their clients’ preferred pace, relationship needs or areas of stress. and, if you make use of Comparison Reports, about your direct reports. The scoring and reporting are done electronically or in a few simple steps for an all-paper version. The administrator of the profile does not need to be certified. If you need a print version, DiSC Classic is available–even in languages other than English. Sample DiSC profile reports are available online and will give you a good sense of what is covered and how they might be used. What do the letters D, i, S, and C mean? 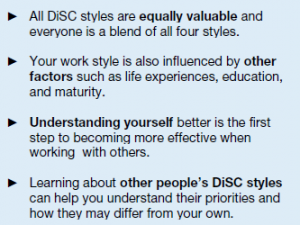 DiSC theory looks at four basic styles to describe how people approach their work and relationships. These are represented by the four letters. The assessment goes much deeper than this, of course, but a quick overview of each style can be read at the links below. 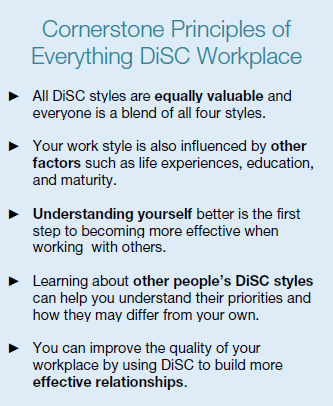 Which Everything DiSC® assessment should I use? 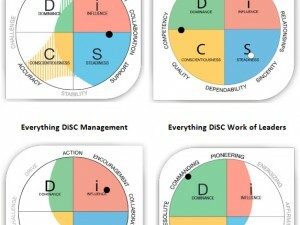 I have completed both the everything Disc, and Thomas PPA http://www.thomasinternational.net/en-au/assessments/assessments-we-offer/ppa/ and i must say i though the PPA was the better tool.